Superdry men’s Tyler slim jeans. These jeans are a great investment to bring versatility to your wardrobe, they can be dressed for day to night outfits that leave you ready for wherever the day takes you. These slim fitting jeans feature subtle distress detailing, a zip fly fastening and the classic five pocket design. 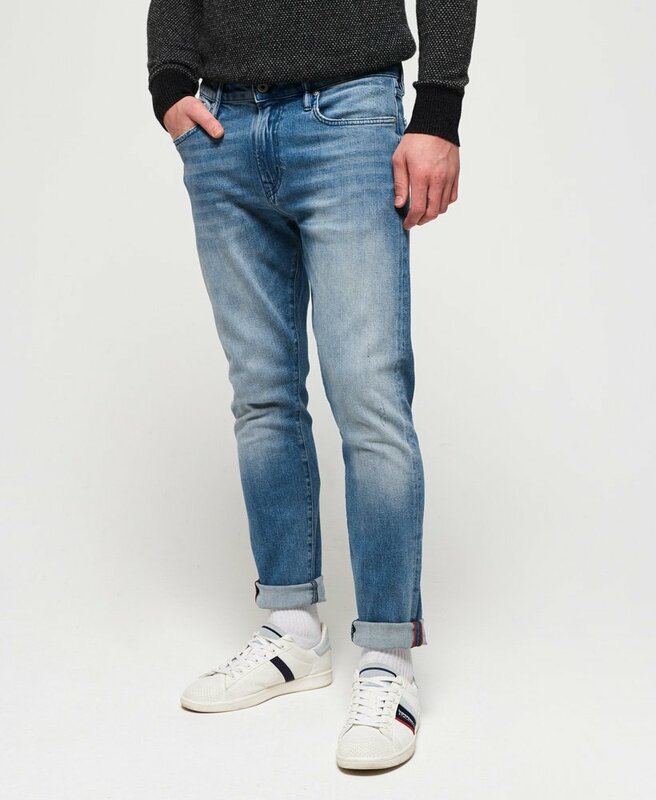 In addition, these jeans Tyler jeans also have a leather Superdry logo patch on the rear of the waistband, an embroidered version of the iconic Superdry logo on the coin pocket and are finished with a logo tab on one of the rear pockets.